How dear is this! Two sweet fairies, lounging and sailing gently atop a mussel seashell, with those unidentified fins and landfall safely in the distance - darling! Amelia Jane Murray (English, 1800-96), a Regency lady with a lovely talent and wonderful imagination, sketched dozens of faeries and sprites - for her own and her family's enjoyment. Those drawings, sketches, and watercolors stayed in her family for 4 generations, never seen publicly, until gathered in 1985 when they were presented as a book for the world to enjoy. The heavy paper measures 7.5" x 9.5" (19x24 cm), shows only light tanning along the edges, and there are no tears, creases, marks, or folds. The sweet lithograph image is "framed". A delightful image to frame, for your own home decor, for your little one's reading corner - wonderful for your art - tag and card creations, scrap-book page making, collage. You are purchasing an original 1985 paper and it does not have watermarks. I will send this to you flat, protected, and by USPS 1st Class mail. 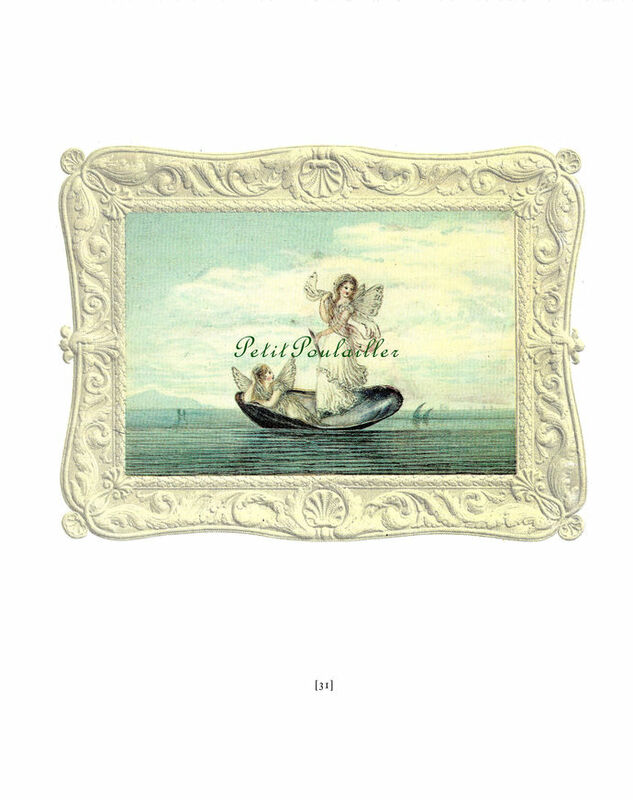 PetitPoulailler - The Finest Vintage and Antiques! 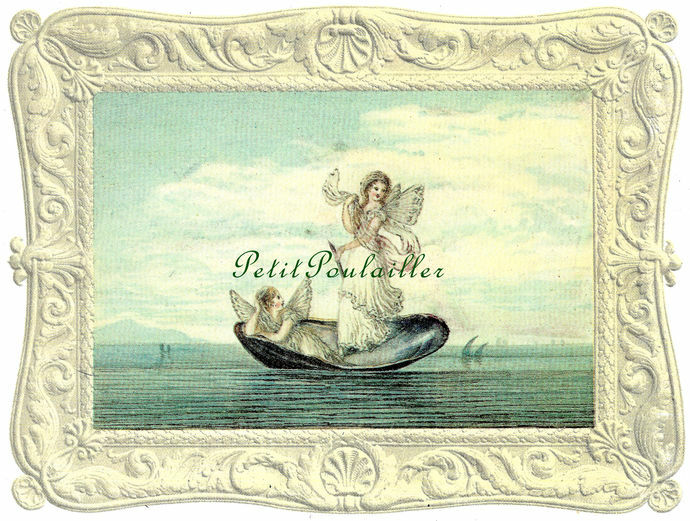 PetitPoulailler - Fine Vintage and Antiques! 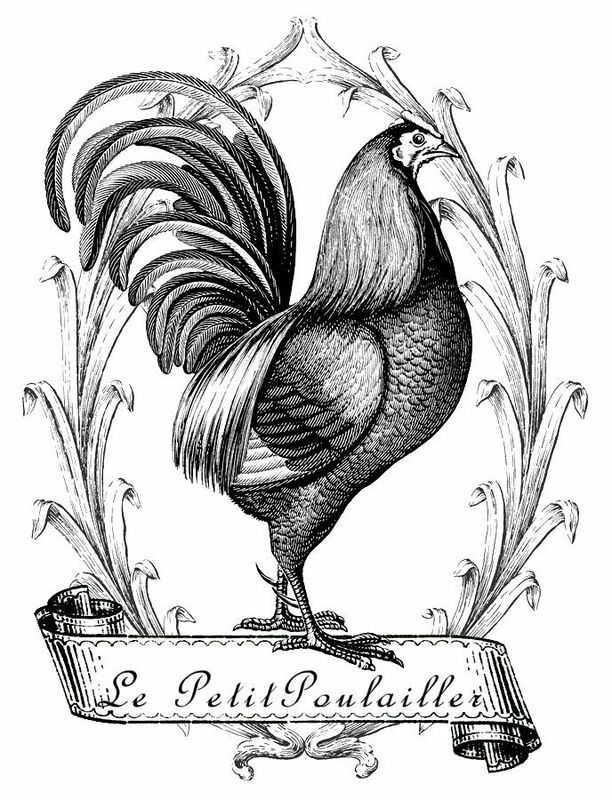 Visit 3-french-hens.com for my embroideries, quilts, and paper fancies!